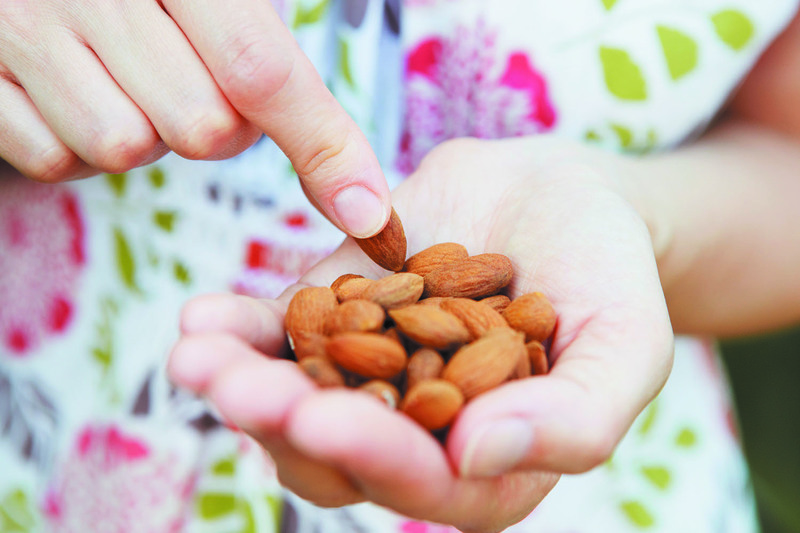 An advantage of adding almonds to your diet? Want to help improve your cholesterol profile? Swap your midmorning muffin for a handful of almonds, suggests a study in the Aug. 1, 2017, Journal of Nutrition. Nutritionists have long known that eating almonds and other nuts tends to lower harmful LDL cholesterol and raise desirable HDL cholesterol. But recent evidence suggests that the heart-protecting effects of HDL depend on a person's particular complement of the various forms of HDL, some of which are more beneficial than others. For the study, researchers recruited 82 people with elevated LDL cholesterol. For six weeks, they followed a cholesterol-lowering diet that included either 1.5 ounces (a scant 1/3 cup) of almonds, or a muffin with a similar number of calories (the control diet). Then, they all ate the opposite diet for another six weeks. Compared with the control diet, the almond diet led to a more favorable distribution of HDL cholesterol subtypes and improved the body's ability to clear cholesterol from the bloodstream. However, for unclear reasons, these effects were apparent only in people of a healthy weight, not in those who were overweight or obese. Ask the doctor: Can red yeast rice bring down cholesterol? Cholesterol: What's diet got to do with it? Drink more water to cut calories, fat, and sugar? Are eggs risky for heart health?